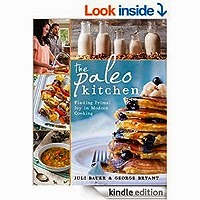 George Bryant and Juli Bauer, two of the most insightful and well-respected Paleo powerhouses have united to bring a myriad of bold and delectable gluten & grain-free Paleo recipes straight from their kitchens to yours in their new cookbook "The Paleo Kitchen". 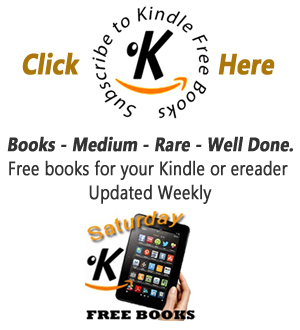 "The Paleo Kitchen" boasts over 100 brand new recipes consisting of appetizers, entrées, side dishes, and decadent desserts that are sure to invigorate and please the fearless caveman palate. 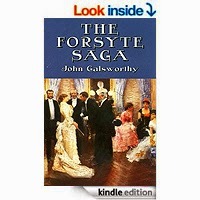 The Forsyte Saga is a series of three novels and two interludes (intervening episodes) published between 1906 and 1921 by John Galsworthy. They chronicle the vicissitudes of the leading members of an upper-middle-class British family, similar to Galsworthy's own. Only a few generations removed from their farmer ancestors, the family members are keenly aware of their status as "new money". The main character, Soames Forsyte, sees himself as a "man of property" by virtue of his ability to accumulate material possessions - but this does not succeed in bringing him pleasure.